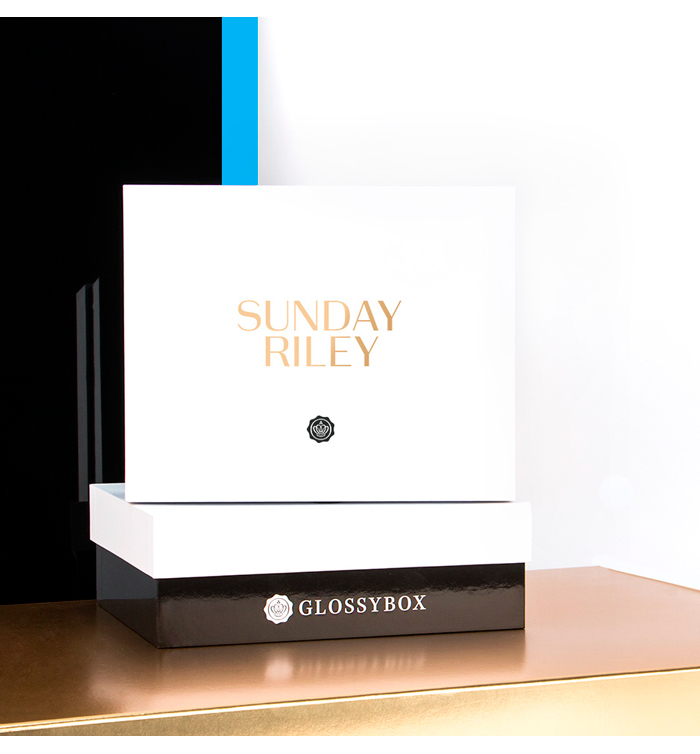 Leading beauty box subscription brand GLOSSYBOX have launched a very special Limited Edition collaboration with US skincare brand Sunday Riley - and we can't wait to get our hands on it! 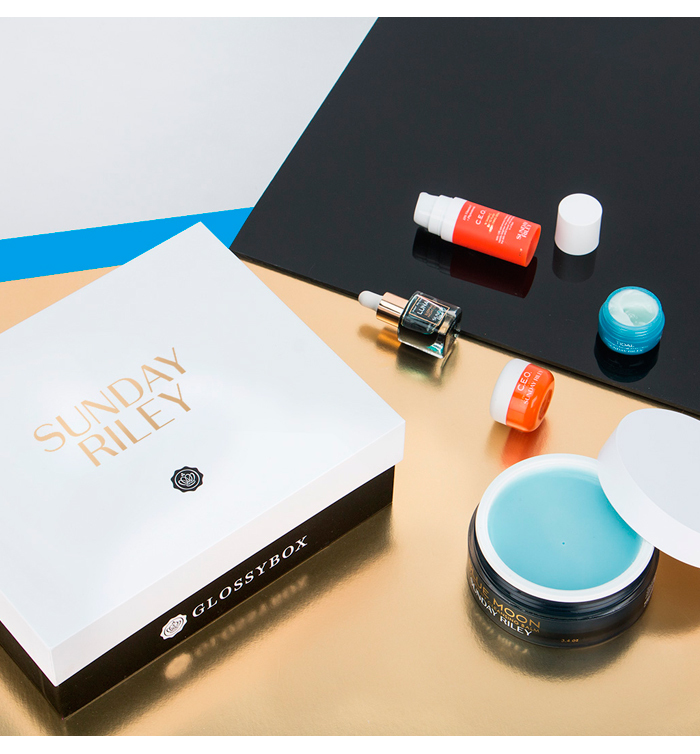 Dubbed the ‘internet’s favourite skincare brand’, Sunday Riley has a cult following, which includes the likes of Jourdan Dunn, Cameron Diaz, Victoria Beckham, Helen Mirren and Julianne Moore. 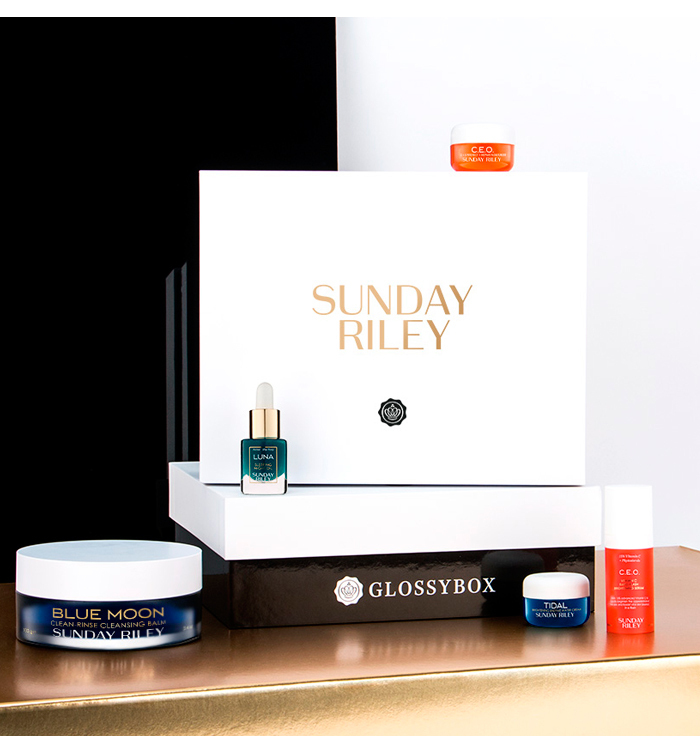 Now you can get red carpet-worthy skin too with the special edition box. Retailing at £30, or £25 for subscribers, the edition includes five fast-acting, results-focused products which make an unrivalled day-to-night regime that's perfect to use in the run up to your Big Day. • The bestselling C.E.O C + E antiOXIDANT Protect + Repair Moisturizer, 8ml Deluxe Sample. Cruelty-free. • C.E.O. Rapid Flash Brightening Serum, 8ml Deluxe Sample. Cruelty-free. • Tidal Brightening Enzyme Water Cream, 8g Deluxe Sample. Cruelty-free. • Luna Sleeping Night Oil, 5ml Deluxe Sample. Cruelty-free. • And a full-size Blue Moon Tranquillity Cleansing Balm 100g worth £46. Also cruelty-free. 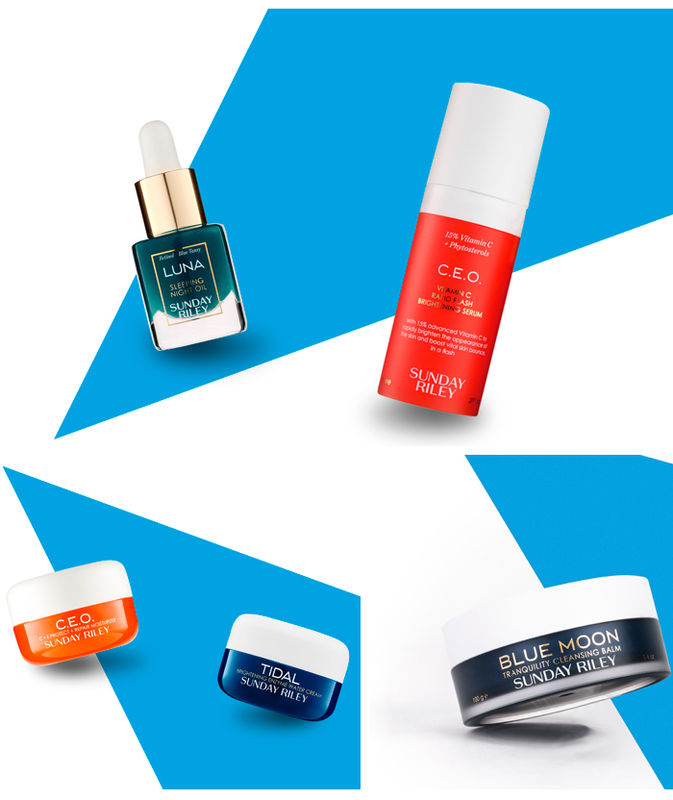 Each product is a powerful, targeted treatment designed to improve skin with carefully crafted, high-tech formulas that start working immediately and continue to be effective over time.